On October 13, CMS announced a push to improve physician engagement and their experience within the Medicare system. To achieve this goal, the agency is trying to reduce the reduce administrative burdens that physicians have to handle with the new Medicare Access and CHIP Reauthorization Act (MACRA). CMS has begun an 18-month pilot program to reduce medical reviews for certain physicians. The pilot will relieve some of the scrutiny that certain types of advanced Alternative Payment Models (APM) providers receive for medical review programs. Advanced APMs were considered for this pilot they share financial risk with the Medicare program, giving them a powerful motivation to deliver the most efficient care possible. Once the pilot is over, CMS will analyze the results to see if they can be replicated in additional advanced APMs, specialties, and provider types. 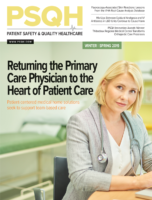 “Like all successful changes, we will begin with the basic steps and build over time,” said Ashby Wolfe, MD, MPP, MPH, Region IX chief medical officer. “Most importantly, we are excited to build on the listening and engagement process we began this year by creating more opportunities for physicians to interact with CMS, especially through our regional offices.